This is the briefest of posts to inform users of Early Modern Letters Online [EMLO] that the inventory of correspondence collated from the archive of the Dutch Church at Austin Friars (based on the three volumes published between 1887 and 1897 by John Henry Hessels, himself the subject of an earlier post) is offline temporarily while work is undertaken to prepare the addition of further data. We hope the catalogue will not be needed by any of EMLO’s users over the next two weeks but, should this be the case, please be in touch and we will arrange to provide metadata for the relevant letter records. 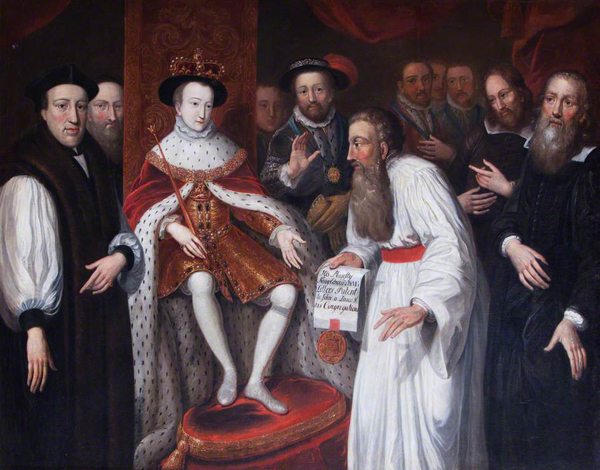 Assuming all goes to plan (which — as anyone who works with databases will confirm — is never a given), the correspondence of the members of the Dutch church in London will appear back online for consultation in the union catalogue during the second half of July. This entry was posted in Uncategorized on June 27, 2018 by Miranda Lewis. Leonhard Euler, by Jakob Emanuel Handmann. c. 1756. (Deutsches Museum, Munich; source of image, Wikimedia Commons). It is a pleasure and privilege to announce publication in EMLO of the first instalment of the correspondence of Leonhard Euler (1707–1783). Working in partnership with scholars at the Bernoulli-Euler-Zentrum [BEZ] in Basel, EMLO has prepared and uploaded metadata for Euler’s correspondence with Christian Goldbach (1690–1764), an exchange that extends across almost four decades and reveals the depth of the long-standing friendship which developed between the two men. 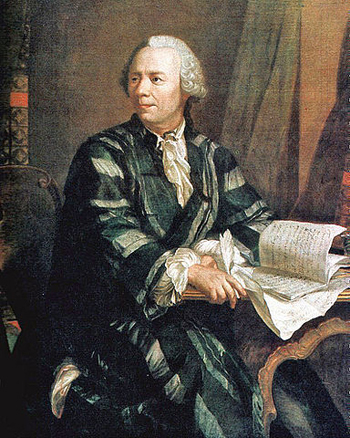 When Euler arrived at the Russian Academy of Sciences at the age of just twenty, the Academy’s president Goldbach offered advice and support, and in the fullness of time stood as godfather to the younger mathematician’s eldest son, Johann Albrecht Euler (1734–1800). 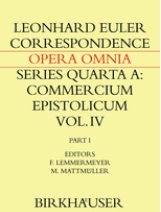 The volume from which this inventory is drawn, was published in 2015 by Springer as part of the series of Euler’s Opera Omnia.1 Edited by Franz Lemmermeyer and Martin Mattmüller, these letters — 198 in total, including two from young Johann Albrecht to his godfather — provide a fascinating overview of eighteenth-century number theory, its sources, and its repercussions, and they offer today’s historians a fascinating insight into scholarly circles in St Petersburg and Berlin in the middle of the eighteenth century. As Martin Mattmüller explains in his introduction to EMLO’s catalogue, at the instigation of Ferdinand Rudio, then professor of mathematics at the Zürich Polytechnic, the Schweizerische Naturforschende Gesellschaft (now the Swiss Academy of Science [SCNAT]) set up a committee in 1907 — the Euler-Kommission — to plan, to fund, and to realize the ambitious undertaking of creating an edition of Euler’s collected works. In 1967, the spotlight widened from a focus on the mathematician’s published works to encompass Euler’s correspondence, the largest part of which is held today in the care of the Soviet Academy of Science, and a partnership was forged between the Swiss and Soviet Academies. Since 1980, six volumes of correspondence have appeared. In the course of this editorial work, new letters have been added and many corrections made to the initial inventory. The volume containing the exchange between Euler and Goldbach is the most recent in the series. The records of the Euler-Goldbach letters in EMLO provide links to texts that have just been released the new virtual research environment platform (currently in beta) under development in Basel: Bernoulli-Euler Online [BEOL]. At present the the Euler-Kommission is working towards making available all of the printed and manuscript material in this web-based virtual research environment with the aim of ensuring that the task which the mathematical community undertook at the beginning of the twentieth century is brought to a conclusion for — in Martin Mattmüller’s words — the ‘benefit of twenty-first century mathematicians and historians of science as a monument to the lasting glory of Leonhard Euler’. Theirs is a laudable enterprise that holds right at its heart the aspirations of the international scholarly community. Metadata for further volumes will be uploaded into EMLO over the course of this year and, in the meantime, we invite you to follow these invaluable links and explore all that, even at this early stage, the Bernoulli-Euler Online platform has to offer. This entry was posted in Uncategorized on June 15, 2018 by Miranda Lewis.